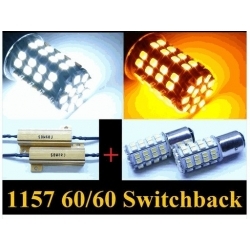 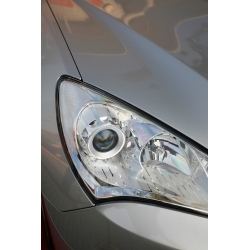 2-Way LED Turn Signal Modules for outer side signals, dual color, white and orange. 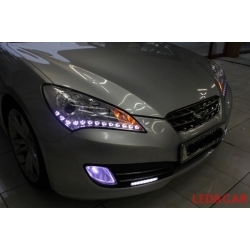 3D 2-way Led Eyeline is 2-way module with stylish design performing as white led daylight as well as amber turn signal. 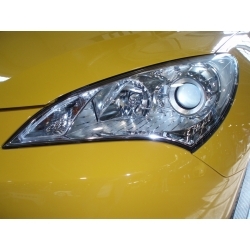 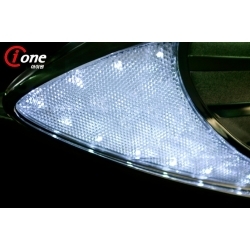 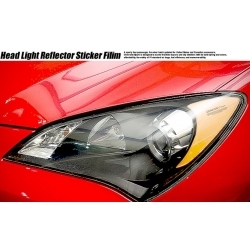 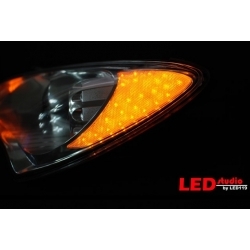 Exled LED Turn Signal Kit for the 2010-2012 Genesis Coupe. 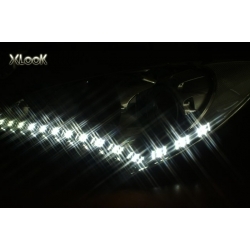 This is a DIY kit containing LED turn signal modules and wiring. 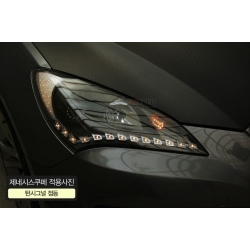 Gogocar Turn Signal Module (entry level) is one set of two modules (L+R) with distinctive three line pattern of leds. 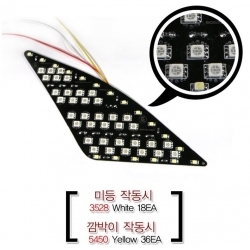 Gogocar Turn Signal Module (premium level) is brighter than entry level and has more type 5450 amber leds. 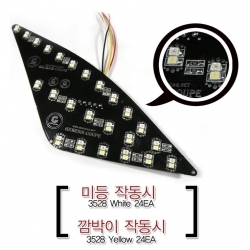 LC Line Led Daylight Kit Available in two options, with L square modules and C circle modules.